WATERVILLE, Maine – With just five seniors on the squad, the Colby College baseball team will have a new look on the field after losing some experienced players from a year ago. The Mules, under head coach Dale Plummer, open the season March 18th in Fort Myers, Fla., starting with Saturday's 3 p.m. game vs. St. Lawrence. A pair of seniors, Andrew Della Volpe (Concord, Mass.) and Noah Tocci (Weston, Mass. ), are co-captains for the Mules. Della Volpe started 20 games in 2016 behind the plate and had a solid .972 fielding percentage in 144 chances. Tocci played in nine games, had three outfield starts while not making an error and hitting .267. Tocci will mostly be used as a designated hitter and offensive replacement. All players will be relied upon to lead this year's talented group especially after the Mules lost nine experienced seniors, including All-NESCAC First Team selection and Colby's all-time strikeout Leader, Soren Hanson, along with All-NESCAC Second Team third baseman Zach Ellenthal. While Hanson will be a major loss as the ace of the staff, right-hander Brooks Parker (Weston, Mass.) returns after starting seven games and finishing third on the team in earned run average. Dan Schoenfeld (Evanston, Ill.), another right-handed thrower and the ace out of the bullpen, had the most appearances (14) and had a 2-1 record while pitching all innings in relief. Sophomore right-hander Will Cohen (Wellesley, Mass.) made four starts last season and had a pair of victories. Junior righty Bobby Forese (New Canaan, Conn.) was third in appearances (10), had two starts, and was second on the Mules behind Hanson in opponent batting average (.257). Junior righty Matt Garcia (Mamaroneck, N.Y.) had three starts among his seven appearances. Junior John Baron (Medfield, Mass. ), sophomore Jackson Ward (Wilton, Conn.), had minimal appearances in relief, but will be counted on more heavily this season. Sophomore Andrew Sterup (Billings, Mont.) will also add depth to the bullpen. First-year pitchers Emery Dinsmore (Waldo, Maine), Taimu Ito (Tenafly, N.J.), Matt Reasor (Clarksville, Tenn.), Will Phillips (East Media, Pa.), and Alexander Wieder (Bronxville, N.Y.) will look to make an impact. Dinsmore is the lone left-hander of the new pitchers and is expected to get a start in Florida along with Ito. Colby will have the most depth in the outfield, with the return of senior Ryder Arsenault (New Hampton, N.H.) after missing last year due to injury. Arsenault hit .327 and stole 20 bases as a sophomore. The Mules only had 25 stolen bases all of last season. Arsenault also did not make an error in center field in more than 60 chances. The Mules will have a good defensive outfield. With Arsenault out, sophomore Ryan Quinn (Lagrangeville, N.Y.) did not make an error in 65 chances as Colby's center fielder last year. Arsenault will move back in the middle and Quinn slides over to left field. Matt Treveloni (Ashland, Mass.) takes over in right field and will be the team's leadoff hitter. Phillips and Forese will both see time in the outfield and could be defensive replacements if needed. Senior Conor Bruen (Orinda, Calif.) and first-year Jr. Ben Coleman could also play in the outfield and will be used as offensive assets. While the outfield is experienced, the Mules lost all four starters from last year's infield. Colby will have depth on the corners. Freshmen William Wessman (Dallas, Texas) will start at third base and hit fourth. Sophomore Keenan Iuliano (Waltham, Mass.) also will play third base and will earn quality innings. Garcia, who was second on the Mules in batting average (.338), will play first base or outfield when he is not pitching. He will bat in the middle of the order. 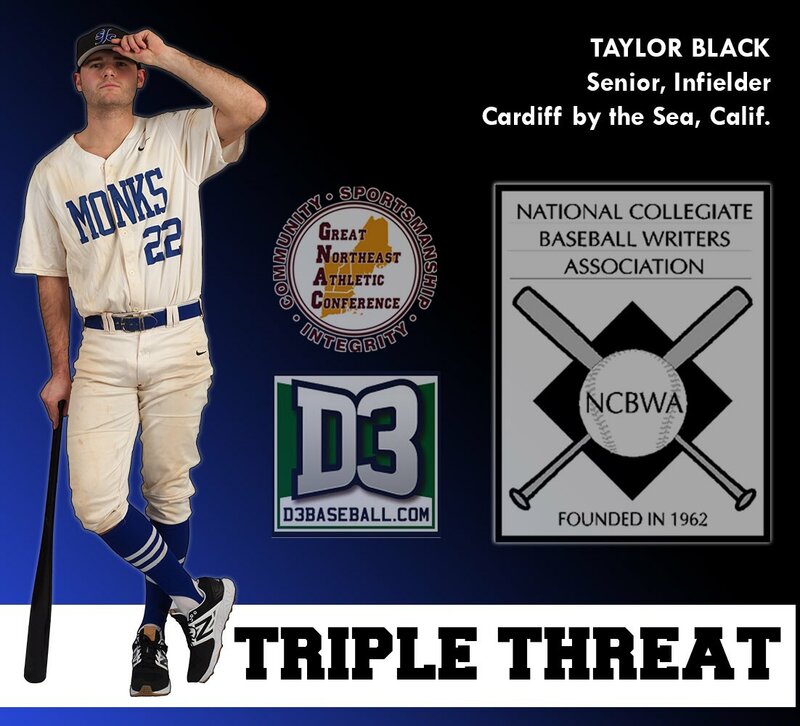 Tyler Mulberry (Middletown, Conn.) is extremely versatile and can play first base, shortstop, or third. Sterup brings a left-handed bat with potential power and will see time at first base. Ward will get the start at second base and bat second behind Treveloni, while sophomore Matt Mitchell (Wayzata, Minn.) gets the nod at shortstop with his left-handed bat. Senior Grant Lowensohn (Fort Collins, Colo.) and sophomore Noah Paredes (Bedford, Mass.) will both see time as utility players. Della Volpe will be the main starter at catcher, but first-year George Schmidt (Worcester, Mass.) will be counted on to perform at this level. Cam Drew (Plymouth, Mass. ), who is on the football team, will also will compete for action. The Mules will play 10 games in Florida, before heading back to Maine. Colby's home opener is set for Thursday, March 30, in a league game against Bates College at 4:00pm. With the turf fields at the Colby Baseball/Softball Complex, the Mules could have some added home games. March has seen much snow and grass fields could suffer. Colby is scheduled for 11 home games. The NESCAC Championships also will be played at Colby from Friday to Sunday, May 12-14. FORT MYERS, Fla. -- Jackson Ward had five hits and drove in five runs for the Colby College baseball team in a season-opening 15-9 victory over Saint Lawrence University on Saturday in Florida. The Mules (1-0 overall) are playing 10 games on their spring break trip, including a doubleheader against Western Connecticut on Sunday at noon. Brooks Parker pitched the opening four innings, struck out four, walked one, and gave up one earned run to give the Mules a 5-1 lead when he left. Emery Dinsmore earned his first collegiate victory after pitching 1.1 innings and allowing no runs. Ward (pictured) had five of Colby's 18 hits on the day. The Mules had five innings where they scored two runs or more. Matt Treveloni had three hits and two RBI, while Matt Garcia added two hits and three RBI. Andrew Della Volpe and Ryder Arsenault both had two hits and two RBI for the Mules. Ryan Quinn also had a pair of hits. The Saints scored three in the fifth and four in the sixth to go up 8-5. The Mules, though, had three in the sixth, three more in the seventh, and four runs in the eighth inning. Will Phillips entered the game in the sixth inning and did not allow a run in 1.2 innings. Dinsmore took over to get the last out of the seventh inning and pitch the eighth, while Taimu Ito pitched the ninth and allowed one unearned run. Matt Mitchell and Ward turned a key double play for the Mules that helped in their comeback efforts. Ward also made a leaping catch on a soft liner to right with the bases loaded to stop a rally. Will Cohen will throw game one against Western Connecticut and Bobby Forese is scheduled to start the second game. FORT MYERS, Fla. -- The Colby College baseball team had a 4-3 lead over 21st-ranked Johns Hopkins University in the sixth inning, but the Blue Jays scored four in the bottom of the sixth to pull out a 7-4 victory in the second game of a doubleheader on Monday. Johns Hopkins (10-2 overall) took a 13-3 win over the Mules in the opener. Colby drops to 2-3 overall and has Tuesday off before playing a doubleheader with St. Joseph's (LI) on Wednesday at 9 a.m. The Blue Jays struck for a lone run in the bottom of the second inning of the nightcap. The Mules scored three times in the third after Ward led off with an infield single, took second on an infield single by Arsenault, and both scored on Garcia's triple to right center. William Wessman brought in Garcia when he grounded out to third base. After the Blue Jays scored twice in the bottom of the third to tie the game, Colby went ahead 4-3 with a lone run in the top of the sixth. Matt Treveloni reached on an error and advanced to third on Ward's single to right field. With two outs, Arsenault had a clutch single to left field to bring in the lead run. In the opener, Johns Hopkins scored five unearned runs in the first inning to take control. The Blue Jays added four runs in both the fifth and sixth innings to go up 13-0. Colby scored its three runs in the bottom of the sixth inning. Ben Coleman opened with a walk, stole second base, and then moved to third on a ground out. Tyler Mulberry doubled to left field to plate Coleman. With two outs, George Schmidt drove in his first collegiate runs with a double to bring in Noah Tocci, who had an infield single earlier, and Mulberry.